The Niagara Region is home to a number of world-class and championship golf courses and there’s no better way to bond with dad than by playing a round of golf surrounded by the beautiful nature of Niagara. A visit to Niagara-on-the-Lake for a winery tasting is a wonderful way to spend the afternoon with Dad. There are a number of great award-winning wineries to choose from with many of them offering fascinating tours and delicious cuisine. 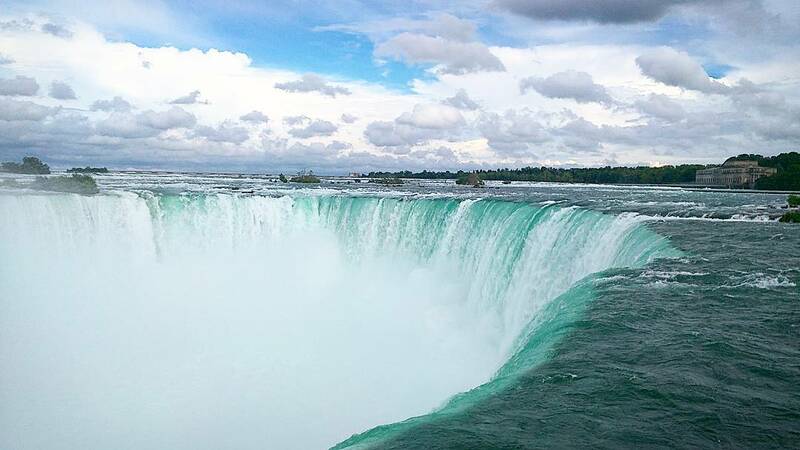 Dine with Dad in direct view of the thundering Niagara Falls at Windows by Jamie Kennedy Fresh Grill & Wine Bar or the Fallsview Buffet Restaurant. With fresh ingredients, seasonal dishes, amazing wine, and breathtaking views it’s sure to be a memorable and delicious evening. The Skylon Tower will be illuminated in blue light on the night of June 18th in honour of Father’s Day. From June 3rd to 24th Trius Winery & Restaurant is hosting their Movie Night in the Vineyard series and on June 17th you can catch The Martian and enjoy a glass of wine. The Niagara Homegrown Wine Festival is being held from June 17th to 18th at participating wineries across Niagara, which you can visit to try amazing vintages paired with delicious local cuisine. Safari Niagara’s 3rd annual Father’s Day Car Show is being held on June 18th, which is a great place for families to go to see countless amazing vehicles and experience live entertainment, a fishing derby, cake celebration, and more.